From a simple vial to sophisticated tools such as Mazerustar Mixer and Unguators, MEDISCA offers over 600 types of equipment and devices that meet the compounding needs of today’s pharmaceutical industry. Our extensive line of products will provide you with everything needed to stay ahead of the curve as a leader among compounding pharmacies. Applicators and Dispensers, including our complete line of MD Dispensers. Balances, as well as balance printers, cables, adapters and a wide range of accessories. Capsule Machines, including everything from pill counters and tampers to full system packages. Cleanroom Products, providing you with air samplers, cleaning products, protective clothing and more. Hoods & Accessories, including base stands, HEPA filters, work surfaces and more. Mixing, Milling & Filling Products, including Unguators, Topi-Click Filling Stations, and more. We also offer a wide range of Lab Supplies such as bottle adapters and empty IV bags, as well as a wide range of Molds, Crimpers & Sealers, Heating & Sterilizing Products and more! 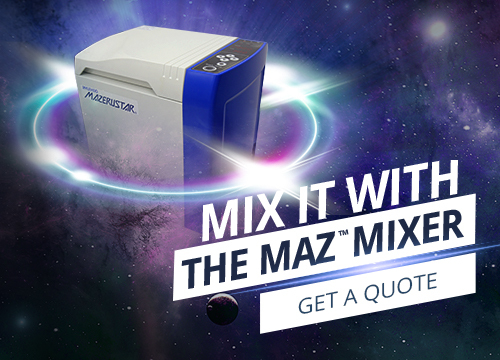 The Mazerustar performs mixing and deaeration simultaneously by revolving and rotating the container concurrently. This unique motion eliminates the need for mixing rods, blades, and an evacuation device, thus dramatically reducing processing times. Find out our plans for the best Return Of Investment!